BLOKFEST: Biggest event ever in the UK?! Biggest event ever in the UK?! Well, what a way to kick of Blokfest season 5. 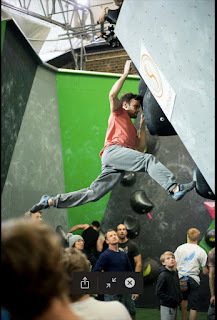 Our 21st Blokfest event and the highest turn out we have ever had. Ever! Ever! Over 500 climbers. It's event we also launched our new electronic scoring system with Vertical Life. This allowed for live qualifying round scores for every single person which was really cool! A great show in all in categories with some big scores. Check them out contest.vertical-life.info. It's safe to say the youth are getting strong!!! Finals saw an incredibly explosive and tight battle with Gracie Martin and Matt Cousins eventually taking away the gold medals at the end of a huge night of action. Check out the finals scores below. A film will be coming out later this week and there is loads of action via our social media channels using #blokfest especially on Instagram. Champ - Matt Cousins in qualifying. A huge thanks to so many people especially Mile End staff, Rock On and staff, Brenda and her amazing soup kitchen and all our volunteers. These incredible companies made this possible also. 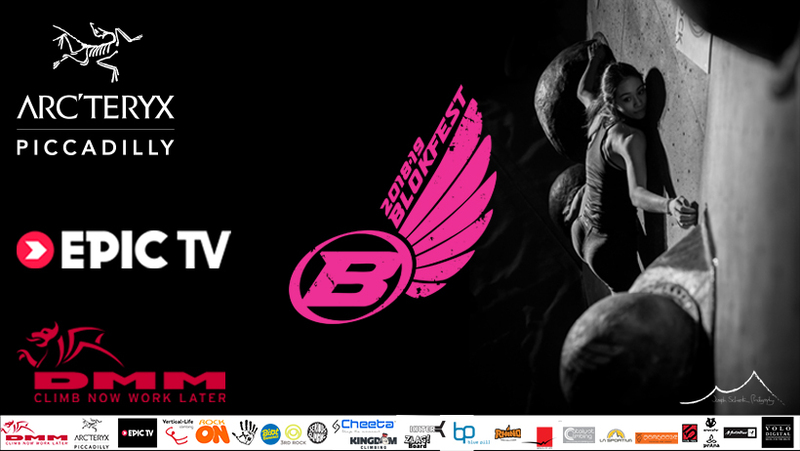 Dmm, EpicTV, Scarpa, Blocz, Flathold, Cheeta, ClimbSkin Uk, Szent chalk, Serious Climbing, 3rd Rock, Onsight Nutrition and Zlag Board. Now we re-build and get ready for the Boulder Brighton event which will also be host to the entire Senior GB bouldering team.